Ayanda* is confused. Every month when she gets her payslip, there are unexplained deductions from her salary that don’t show up on her payslip. She decided to ask her boss about the deductions, and he told her to “stop being clever” and just leave it like the rest of the employees. Now she doesn’t know what to do – surely her employer can’t just ignore her? 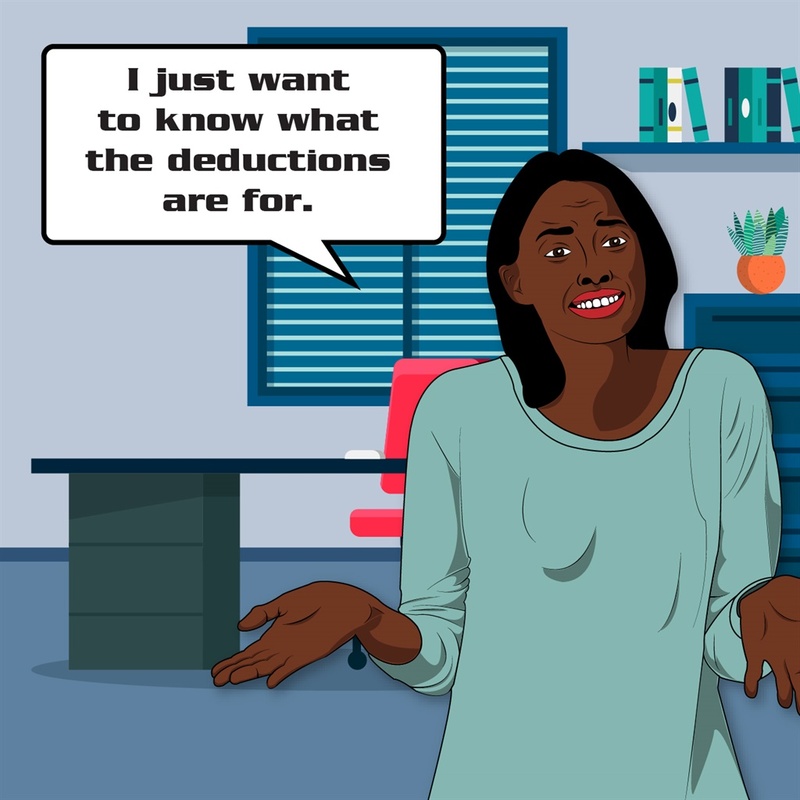 According to the Basic Conditions of Employment Act (BCEA), employers may not deduct money from an employee’s pay unless the employee agrees in writing to the deduction of a debt, or the deduction is made in terms of a collective agreement or law (e.g. UIF contributions), court order or arbitration award. In the case of damage or loss caused by the employee, for example if you’ve broken something, deductions may only be made if the employer has followed a fair procedure and given the employee a chance to show why the deduction should not be made;the employee agrees in writing; and the total deduction is not more than 25% of the employee’s net pay. Ayanda can lodge a complaint with a labour inspector at the Department of Labour (DOL). The DOL will investigate the complaint, and decide what needs to be done. If they find that the employer does owe Ayanda money, the inspector will then issue her employer with an instruction to pay by a certain date. If you have a query, follow us on our Facebook page and ask your question during our Live Q&A (every first Thursday of the month).